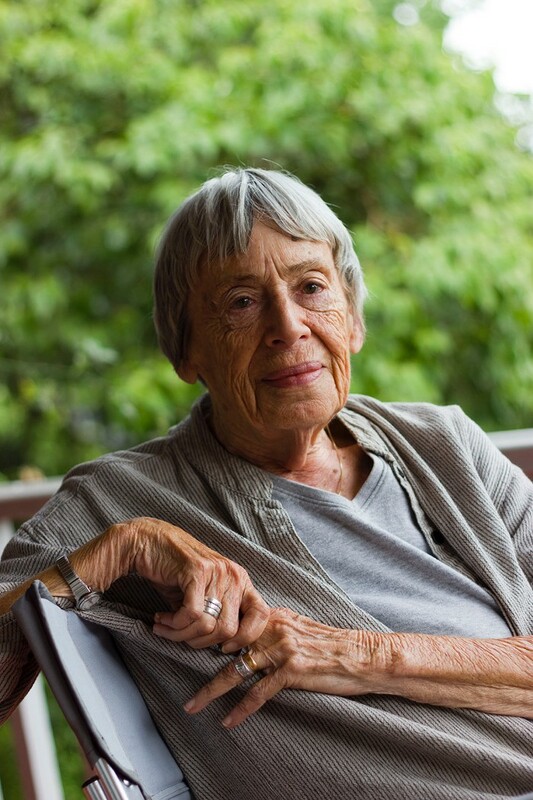 This is a sad day for Portland letters, as Le Guin was one of the best and most beloved writers in our city. Her Earthsea novels were landmarks of fantasy literature, appealing to younger readers but just as resonant with older ones. The books' hero, Ged, was one of the first (and still one of the few) heroes of color to appear in a fantasy novel. And The Left Hand of Darkness was, in addition to being a gripping tale, a groundbreaking exploration of a theoretical world where everyone is ambisexual. Le Guin's invented worlds were ideal arenas for tackling the thorny problems of our very real one. The Times says Le Guin's son Theo Downes-Le Guin confirms the report of her death. A cause has not been given, but the 88-year-old had been suffering poor health for some time. Le Guin's most recent book, No Time to Spare, was published in December; it's a nonfiction collection of blog posts from the past decade or so, and included pieces about her cats and fan mail. I haven't read it, but it sounds delightful. What I have read of Le Guin's—those wonderful Earthsea novels, The Left Hand of Darkness, and a few short stories and essays—reveal that she's so much more than a genre stylist. She's long been one of America's best writers in any field, and her work elevated and legitimized the fantasy and science fiction genres from the stigma of a snobby publishing industry and critical establishment that dismissed them as disposable dime-store paperbacks. Her death is a deep and special loss for Portland, as Le Guin was a local figure who defined the city's culture in decisive (if never ostentatious) ways. (Who can forget her recent letter to the Oregonian about the woeful rise of "alternative facts"?) But it is a tremendous loss for the world as well, because Le Guin's talent was world-sized—great enough for not just the world under our feet, but the dozens of other worlds she invented under her pen. She will be dearly missed.